Molasses is considered one of the top 100 foods to eat while pregnant. rich treat that offers a little of every healthy during pregnancy. In a small saucepan, pour molasses, lemon and butter. Heat on high until the mixture comes to a boil. Cook at boiling for three minutes, remove from heat. 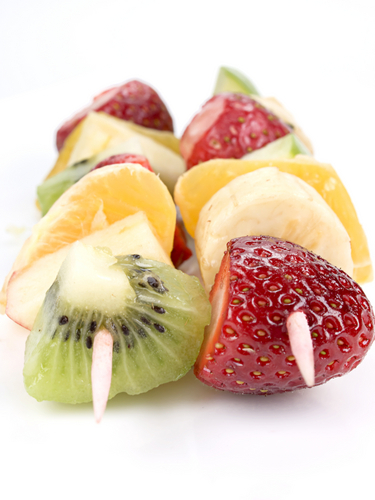 Pull skewers from water and feed fruits onto the wooden stick. Spray grill grates with grill safe, non-flaring spray. Place fruit on the grill. Use a brush to paint fruit with molasses glaze. Flip when one side is brown. Continue to cook for four to five minutes, glazing often. Nutritional Benefits: Magnesium, Manganese, Vitamin B6, Potassium. Category: Snack, Breakfast, Appetizer, Hors D’Oeuvres.